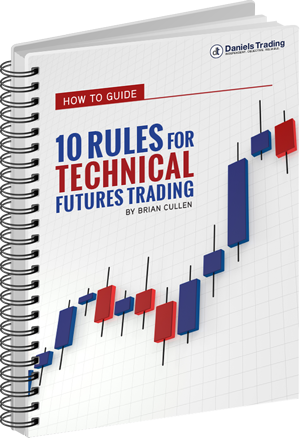 Our Futures Chart Technical Analysis Learning Center comes with numerous studies. Some of the studies display as overlays on the underlying chart data, while other studies are displayed exclusive of the underlying chart data (in a separate pane). Please note that the placement of the study cannot be modified. Default parameters for each study are shown below (in parentheses after the study name). The user can change the parameters for the study after it has been applied to the chart by accesing the study’s properties (double-click on the plotted study). How and when to take action! Already a client? Login to download the guide for free. Choose a study from the list to view its description, formula, and typical interpretation. Bollinger Bands consist of a Moving Average and two standard deviations charted as one line above and one line below the Moving Average. The line above is two standard deviations added to the Moving Average. The line below is two standard deviations subtracted from the Moving Average. Developed by John Bollinger, this study represents a variation of the Envelope study. Each study has its own set of properties which may be modified. Certain studies (such as Bollinger Bands, Exponential Moving Average, and Momentum), perform their calculations using a specific value (Field) from the underlying data on which the study is applied. When the study is initially applied to a chart, it “binds” itself to this Field, which is set in the study properties. The concept of Directional Movement is based on the assumption that in an upward trend today’s highest price is higher than yesterday’s highest price, and in a downward trend today’s lowest price is lower than yesterday’s lowest price. The Exponential Moving Average gives the recent prices an equal weighting to the historic ones. The calculation does not refer to a fixed period, but rather takes all available data series into account. This is achieved by subtracting yesterday’s Exponential Moving Average from today’s price. Adding this result to yesterday’s Exponential Moving Average, results in today’s Moving Average. Although traders cannot predict the future, they must make intelligent guesses as to what the future holds. A standard approach used in option evaluation is to look at the past. What has historically been the volatility of a certain commodity? The Least Squares Linear Regression line indicates the dominant market trend relative to time. In simple terms, is the market trending lower or higher with respect to time? It can inform you when the market is diverging from an established trend, but only when prices fluctuate uniformly around the trendline and within a narrow range. The better the fit of the equation to the data, the more reliable the linear trend. Once the calculations are completed, FutureSource draws the trendline on the screen. Moving Average is generally used to identify or confirm a trend, and works best in trending markets. It will not signal you that a trend change is imminent, but it will help you to determine if an existing trend is still in motion and help you to confirm when a trend reversal has taken place. The MACD, developed by Gerald Appel, is both a trend follower and an oscillator. The abbreviation stands for Moving Average Convergence Divergence. It is the difference between a fast Exponential Moving Average (EMA) and a slow Exponential Moving Average. The name “Moving Average Convergence Divergence” originated from the fact that the fast EMA is continually converging towards or diverging away from the slow EMA. A third Exponential Moving Average of the MACD (TRIGGER, or the signal line) is then plotted on top of the MACD. Moving Standard Deviation is a statistical measurement of market volatility. It makes no predictions of market direction, but it may serve as a confirming indicator. You specify the number of periods to use, and the study computes the standard deviation of prices from the moving average of the prices. 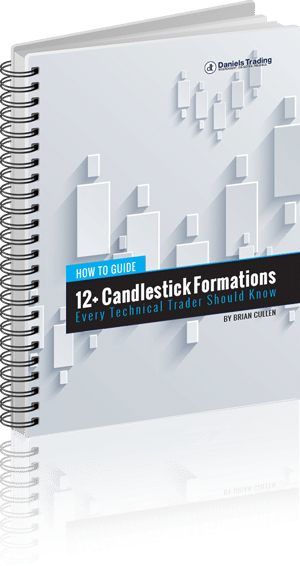 J. Welles Wilder’s Parabolic Stop and Reversal is a simple study to use. The study continuously computes “stop and reverse” price points. Whenever the market penetrates this “stop and reverse” point, you liquidate your current position and take the opposite position. If long, you liquidate the long position and establish a short position. If short, you liquidate the short position and establish a long position. The Parabolic Stop and Reversal study always has you in the market. The Price Rate of Change study is first calculated by dividing the price change over the last ‘n’ periods by the closing price of the instrument ‘n’ periods ago. The result is the percentage by which the price has changed over the last ‘n’ periods. If the share prices increase in this period, the ROC will be a positive number; and a negative number with decreased share prices. The Stochastic study (SSTOC), developed by George Lane, is an oscillator that compares the difference between the closing trade price of an instrument and the period low relative to the trading range over an observation time period. With the help of this study, the position of the price quotation within the prevailing fluctuation margins is quantified. A Smoothed Oscillator is an Exponential Oscillator, only with a longer period applied. The Smoothed Oscillator is plotted as a histogram, using the difference between two Moving Averages. It can be used to help identify divergences, short-term variations from the long-term trend, and to identify the crossing of two Moving Averages, which occur when the oscillator crosses the zero line. The Variable Moving Average study allows you to get very creative with the moving averages. Three moving averages are applied (normal, exponential, and smoothed). Volume can provide insight into the strength or weakness of a price trend. This study has no calculations. The values for volume are transmitted from the exchanges. However, the actual volume figures are always one day behind price information. You will not know Monday’s volume until Tuesday at approximately noon (for U.S. markets - central time). That is due to the exchanges and their reporting requirements. The Williams’ %R, developed by Larry Williams, is very similar to the Stochastic Study, except that the Stochastic has internal smoothing whereas the %R is plotted on an upside-down scale, with 0 at the top and -100 at the bottom.